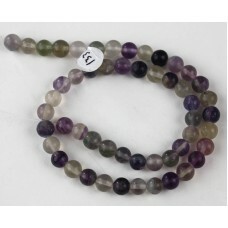 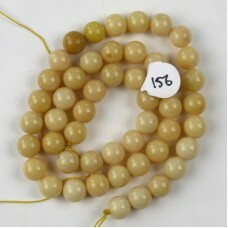 These are 16 inch long strands of 4mm round beads temporarily strung. 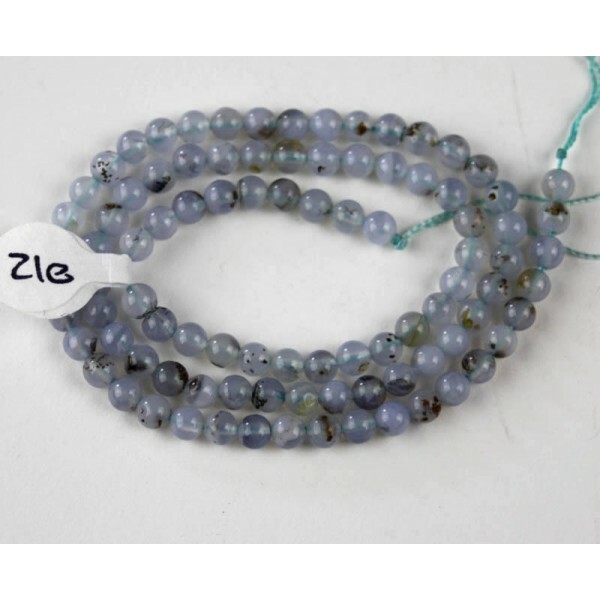 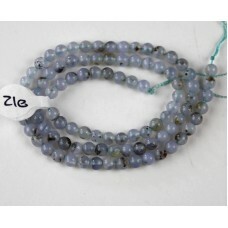 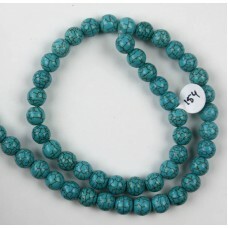 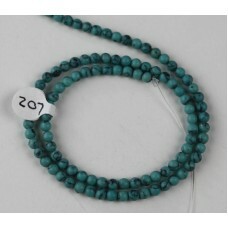 Strand 207 - Blue beads I believe are stabilized turquoise. 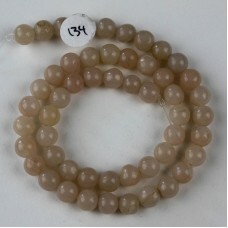 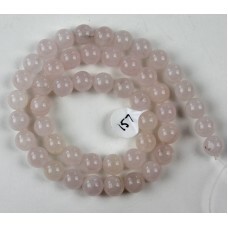 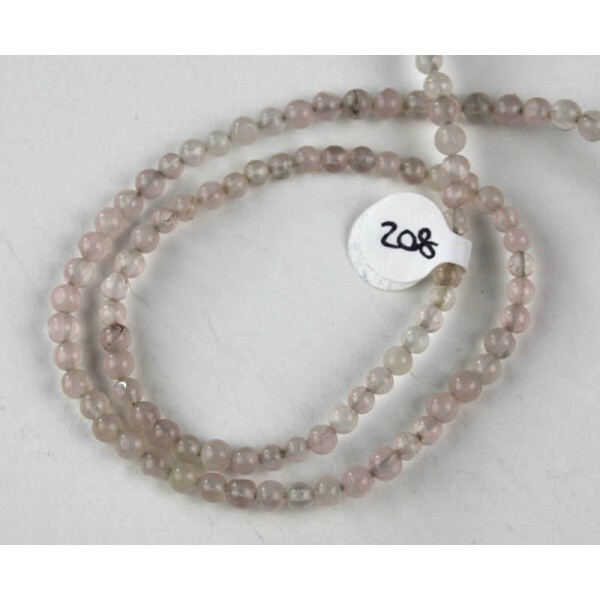 Strand 208 - Pink beads i believe are rose quartz. 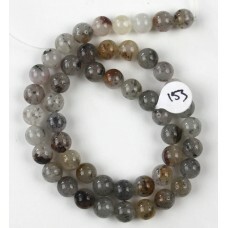 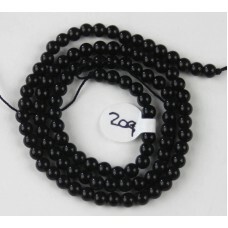 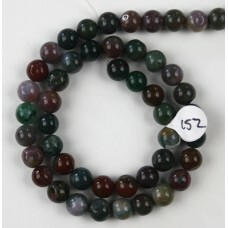 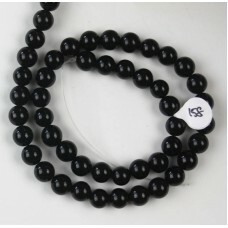 Strand 209 - Black beads maybe black onyx. 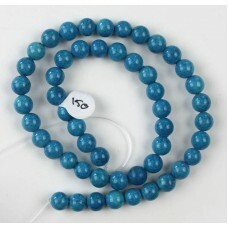 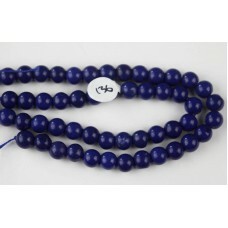 Strand 210 - Blue and black beads. 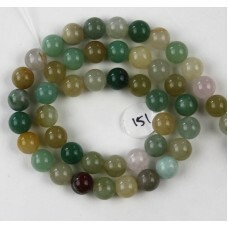 Strand 211 - Green and black beads. 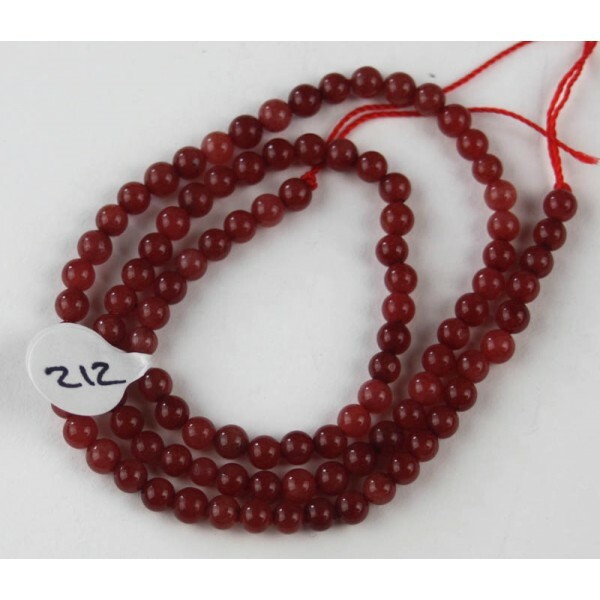 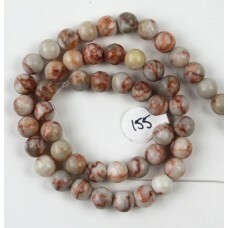 Strand 212 - Red or burgundy beads.